Get 2 great looks in 1 protective cover! 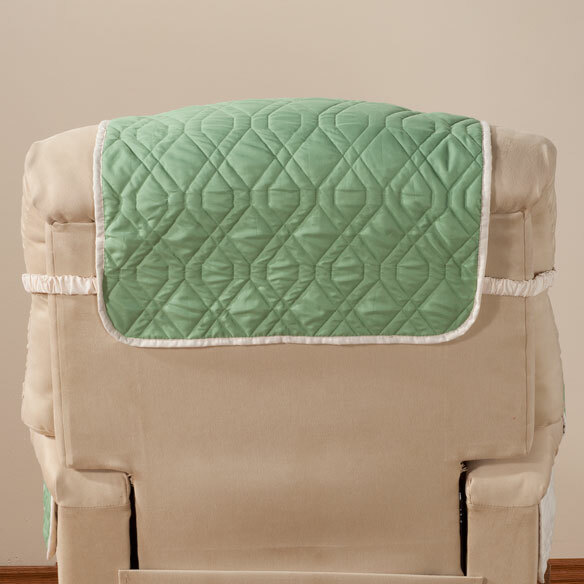 Soft microfiber chair cover with decorative diamond stitching is reversible for all-season style. Waterproof cover protects against spills and stains and is machine washable. Each color features classic ivory on one side and your choice on the other. Covered elastic back strap for a secure fit. Long arm flaps provide extra coverage. Side pocket stores remote, phone and more. Furniture cover fits seats up to 30 1/2"L x 23"W.
Back measures 48"L x 23"W.
I bought the recliner cover and am so pleased with it. 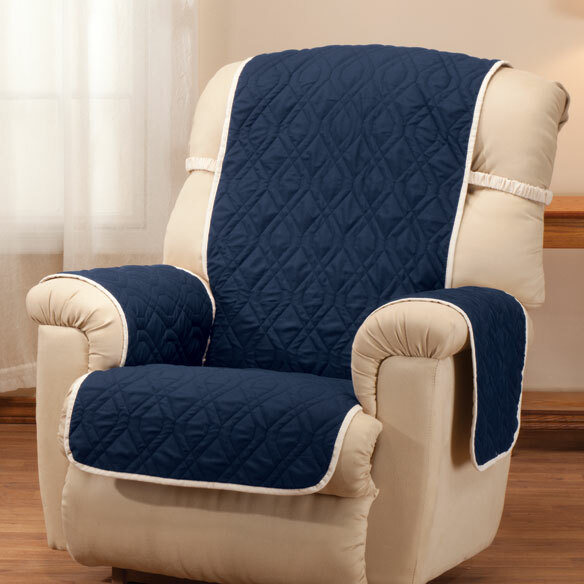 I am ordering another one for my husband's recliner. I had a different brand cover in the past and had a difficult time keeping it in place. This one stays where it should and looks nice!! This is the best chair cover I've had yet. Every part of it is extra long and I love the covered elastic to hold it in place. The pockets on the side are deep and roomy I haven't washed it yet, but I'm not expecting ant problems. Definitely a winner! The reversible chair cover is NOT water proof. It is no more than a cover. NOT at all what I paid for. to cover up where the chair is wearing out. I need to protect my chair from my kittens! I am going to use this as a base to make a wheelchair more comfortable and user friendly. This cover had high reviews and was reversible. It had 4 1/2 stars. on his recliner so I am purchasing another one. It looks like it will be sturdy and I like the microfiber waterproof and washable. Hope this is all it is described to be. I need something that will protect my new declined cuz i have dogs and cats. its looks so comfortable and its washable. he would like to cover a leather lift chair. 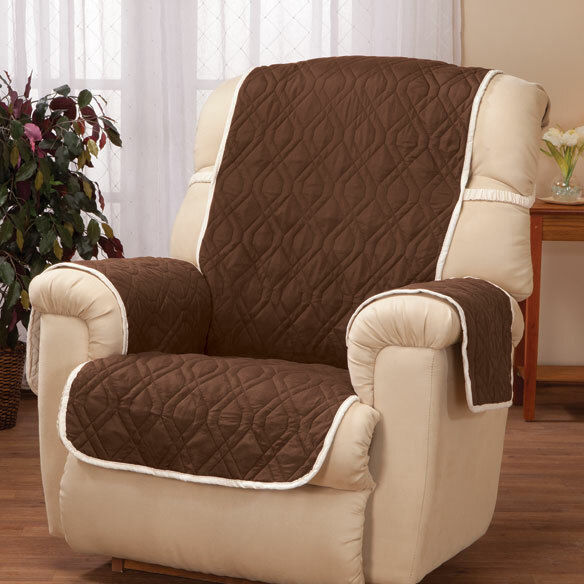 My husband's recliner is old but comfortable and it shows wear and tear and I think these covers look nice. because pf the strap that holds it onto the recliners. Mom having incontinence problems. Want to be able to remove and still have a place for her to sit. looks like it's made well and will stay in place on the chair. I am short and have to have a pillow behind my back to sit comfortably. 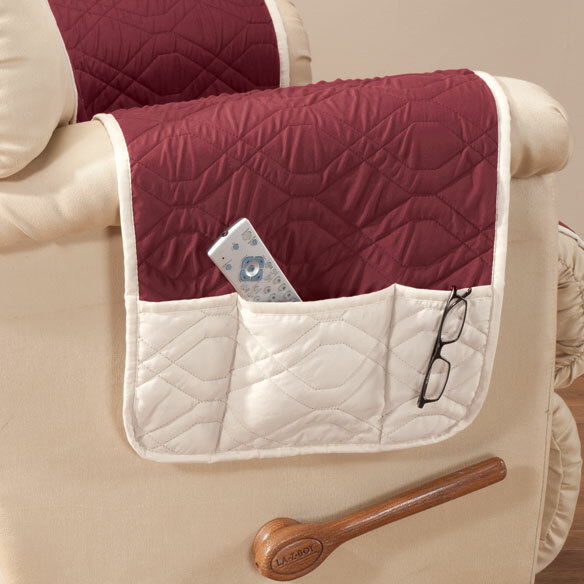 This product holds the pillow in place and provides extra protection to my chair. For my mother and extra storage for recliner. 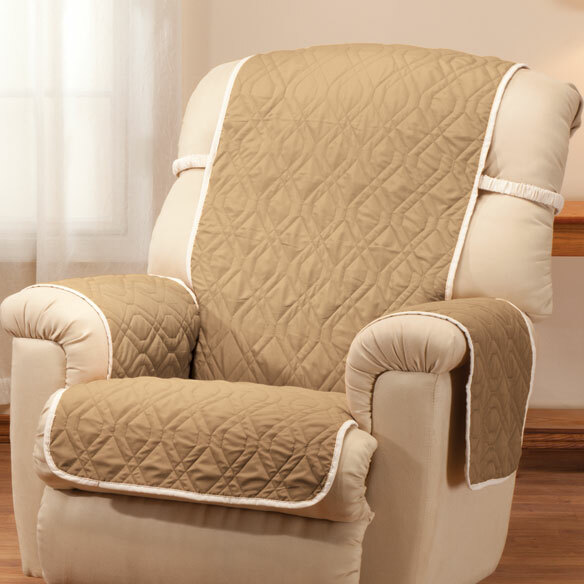 I have a new chair for my senior citizen mother who on occasions, has accidents with liquids. Do you recommend this cover if a person is occasionally incontinent? BEST ANSWER: Yes, but for added protection I put a small square disposable lined pad on it. I am very pleased with everything about this recliner cover. Is this cover for a recliner? Catalog says "beige" back but online says "ivory"... WHICH? Is this cover one piece? BEST ANSWER: Yes, fits well but my patient has yet to set in chair so I don't really know how well it stays in place. Thank you for your question. The cover is one piece. We hope this information will be of help to you. Yes, all one piece. Fits great even though I have a recliner that raises me up.